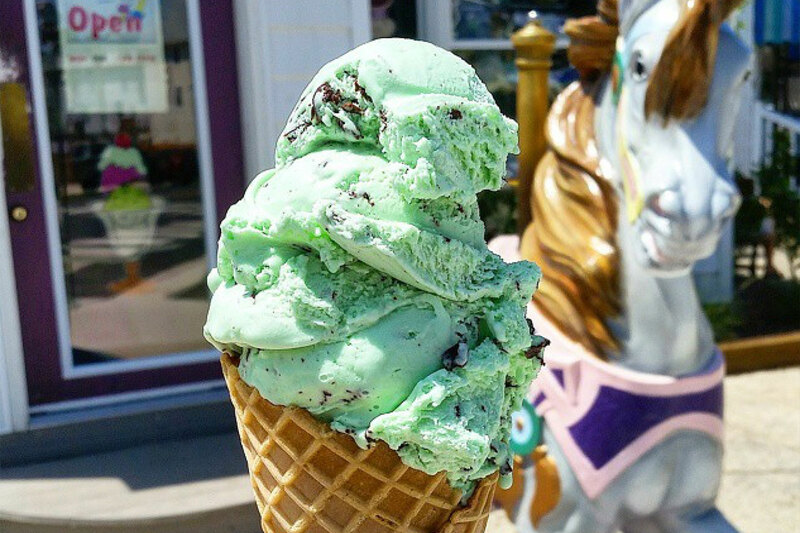 What started as one school teacher’s ice cream experiment in 1917 ended up leading to what would become one of the most famous of all boardwalk treats. Silky, creamy, cold and refreshing, there’s nothing quite like a Kohr’s cone with jimmies on a summer night in Ocean City. The history behind this famous Jersey Shore staple is incredibly fascinating, with its origins in York, Pa. 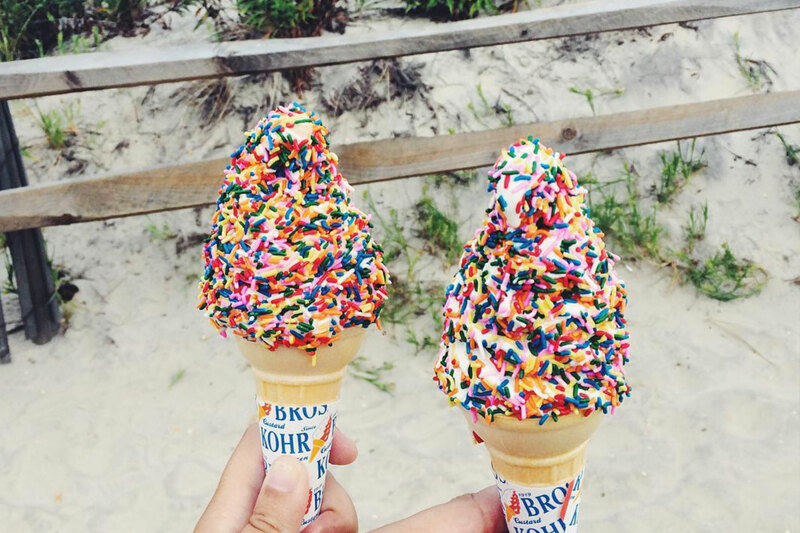 The first Kohr Bros opened in Coney Island, N.Y. before sprouting up all along the Jersey coast. Our boardwalk features three locations at 8th, 12th and inside Gillian’s Wonderland Pier. 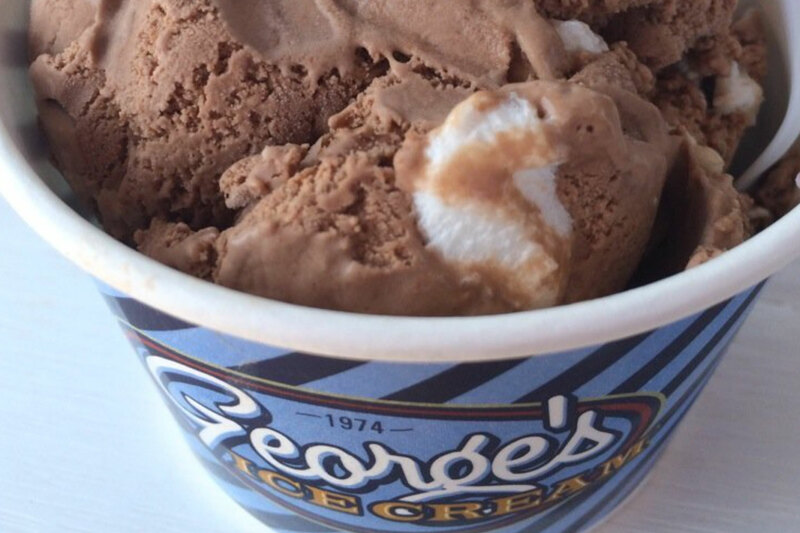 Nestled at the north end of the Boardwalk near Gillian’s Wonderland Pier, George’s premium homemade ice cream has been around since 1954. Although known for their world-famous macaroons, they also boast some of the island’s best ice cream flavors. This stop is a must on the way to or from Gillian’s and the perfect treat to conclude a north-bound stroll along the boardwalk. There’s also an abundance of benches up by this end of the boards so you shouldn’t have any trouble finding seats to eat your ice cream if you walk just a few blocks north. 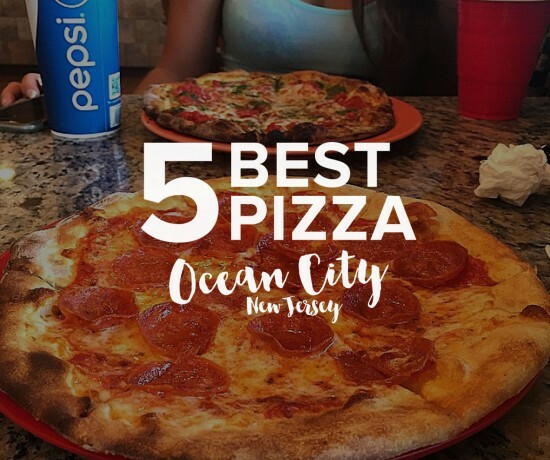 This family-centered ice cream spot and restaurant stands right in the heart of the island at 28th + Asbury, always drawing huge summer crowds. Kessel’s Korner is a 50s-style diner with incredibly affordable meals and delicious ice cream. They’re best known for a fresh peach sundae you won’t be able to find anywhere else. Expect to see large crowds, but quick and efficient service. 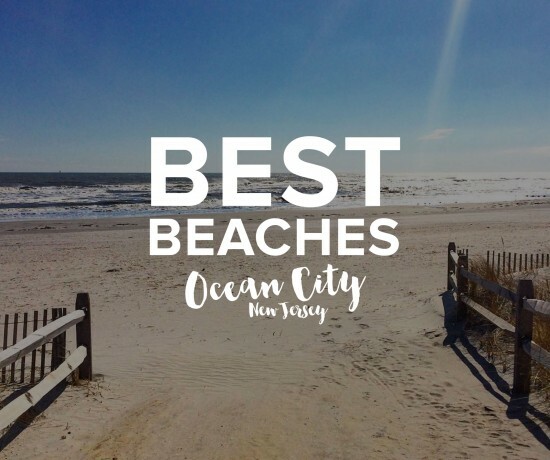 This is truly where the 50s “Golden Age” meets the seashore. 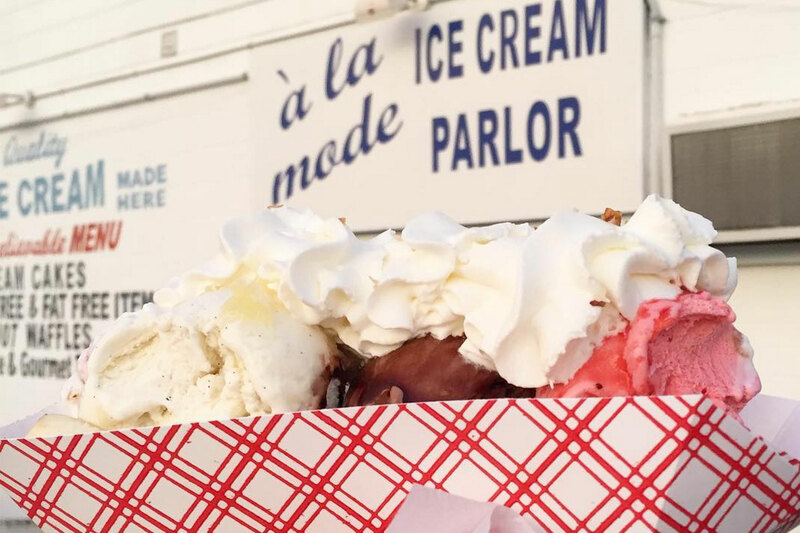 Continuing south to 55th + West, A La Mode Parlor serves the island’s south-end with quality-fresh ice cream made on-site daily during the Summer season. What makes them stand out? They also cater parties and make homemade ice cream cakes. Inside there’s plenty of seating, and you can walk three short blocks to the beach. If you’re a bike rider in Ocean City, A La Mode is worth the journey to this quaint end of the island. Stop for ice cream on your way to or from Corson’s Inlet State Park. Know for large portions at affordable prices, the Hobby Horse is located right in the center of the action at 8th + Ocean Ave. 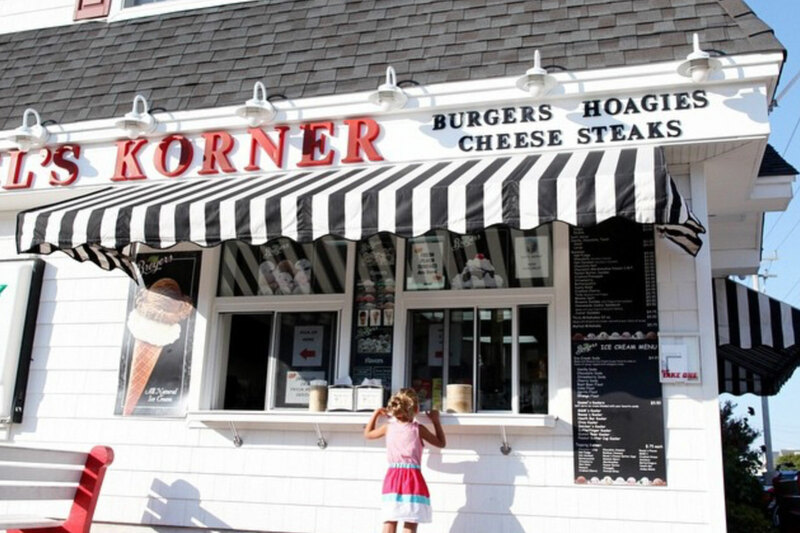 Families have been coming to this famous ice cream spot for generations. Just a few short blocks from the boardwalk, Hobby Horse features indoor and outdoor seating, and of course, a carousel horse. The line might be long, but it moves extremely fast due to the efficient workers and top-notch service. Honorable mentions: In town: Johnny B. Good, TJ’s. On the Boardwalk: Prep’s, Shriver’s, Jilly’s.